What is A/B Testing – SEO? To display your website at the top of the page when a search is made for those relevant items, SEO method is used. It includes the information that your website provides to the visitors and why the content is appropriate to come at the top in search result. Many potential customers notice that A/B Testing or Multivariate Testing will have an effect on their search engine rankings. There are four ways that make sure you to run A/B Tests without bothering about losing the potential SEO Value. Cloaking is called when you display one version of your webpage to Googlebot agent and other to your website visitors. Google says that you shouldn’t cloak and is very strict. Your website can be excluded from the search results or demoted in SEO ranking. You have to make sure that you do not separate your visitors among the various versions of your A/B test based on a user agent. Google will not care if their bot sees one version or another, it cares only that the bot has the same user experience as that of a random visitor. You can add ‘rel=canonical’ to the webpage to indicate to Google, which URL you want to index when you have A/B Tests with multiple URL’s. 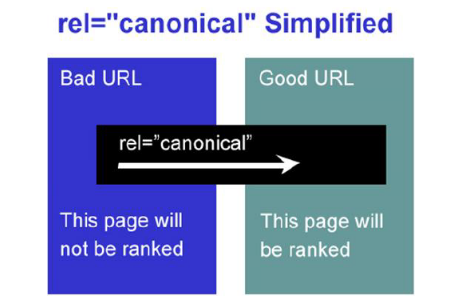 Google proposes to use canonical element and it’s a noindex tag as it is more in line with its intention. You are only specifying about which content is original. This way, grouping and indexing pages are done by Google accordingly. Note – If you are not using canonical, make sure that there is a noindex tag in HTTP or HTML Header, if not you should ensure it at least has a robots.txt. Google suggests to use the temporary direction method − a 302 over the permanent 301 redirect. It is considered as a temporary redirect. It is always suitable to use 302 redirect as it is a notice of a temporary redirect. So if you’re using a redirect for A/B Testing, ensure that you are using a 302 header. An important point to consider for SEO is that you have to make it clear to search engines that they shouldn’t remove your original URL from their index and just put it temporarily on the hold. When the spiders come back for their next indexation, they will check again, if the redirect is still applicable, and if not, the old URL will be restored again. Once your A/B Test is finished, remove the variations and make changes to your webpages. You can start using winning conversion. You have to make sure that you take off all the elements of the tests − like alternative URLs and test scripts. Google thinks that you are fooling search engines by running the test for a longer period. This can reproduce when an user is showing a test variant to a large number of visitors for a long period of time. 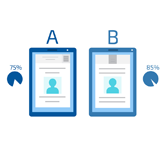 A/b Testing Why To Use? A/b Testing What To Test?